The Norwegian Institute for Children’s Books (NBI) was founded in 1979. The NBI develops and disseminates knowledge about literature for children and young people, works to strengthen research in the field, teaches children’s and young adult literature, and runs author training, online studies, dissemination and information activities. The institute is a meeting place for artistic and academic development and reflection. The NBI is actively used by teachers, librarians, students, researchers, critics, journalists, publishers, authors, and illustrators. 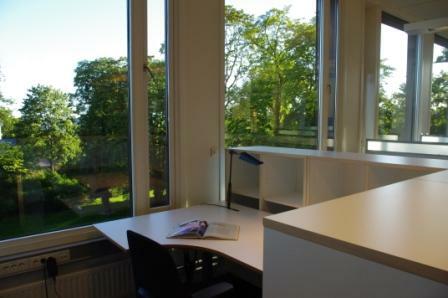 We also offer research and reading room space. The NBI owns a large collection of books that are managed by the National Library of Norway. Research publications and the last 3 years of academic and literary publications are available in the NBI’s reading room. Previous publications are available from the National Library’s archives. Book lending takes place via the National Library’s lending system. 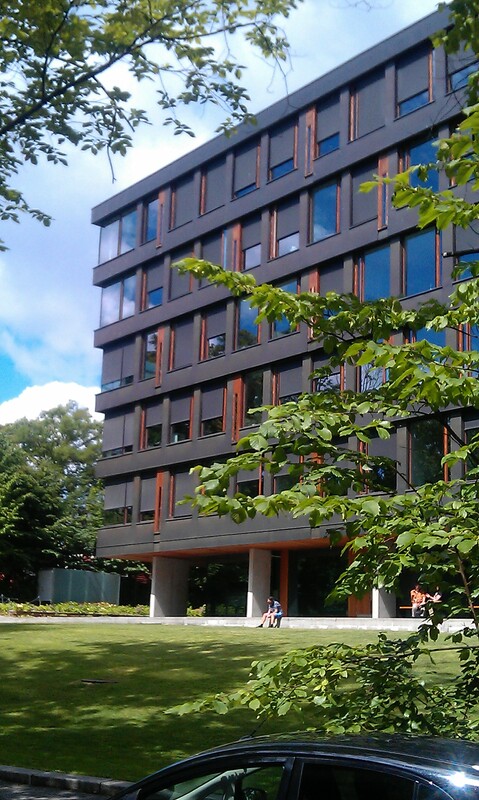 The institute is based in Oslo in the «Halvbroren» building on Observatoriegaten 1B (on the lower side of Solli Plass). View map. The Norwegian Institute for Children’s Books works to strengthen research in the field of children’s books. The NBI currently has one research fellows connected to the research project Children’s and young adult literature in a mediatised text universe. In addition to its own research, the NBI also cooperates with universities and university colleges on various research projects and network collaborations, and it holds public research lectures. Research is disseminated via the Nordic Journal of Childlit Aesthetics (BLFT), seminars, and factual articles on the thematic pages of our website. The NBI develops knowledge about various topics in the field of children’s literature. Each theme results in a collection of articles on our thematic pages. For the last years, the NBI has focused on serial literature, the anniversary of universal suffrage, and the Norwegian Constitutional Bicentenary, censorship in children’s literature, drama, and children’s literature in Iran among other things. This knowledge is disseminated through events, newsletters, and social media. BLFT – Barnelitterært forskningstidsskrift (Nordic Journal of Childlit Aesthetics) is a Nordic peer-reviewed academic journal published electronically, which was established in 2010. The periodical has a Nordic editorial board with editorial responsibilities assigned on a rolling basis. It is available in Open Access and publishes research articles in the Nordic languages and English. BLFT has committed to exploring the aesthetics of children’s literature, analogue and digital media, verbal and visual artistic expression, and views on art and children. Jakten på fortellinger – Barne- og ungdomslitteratur på tvers av medier [The hunt for stories – Children’s and young adult literature across media] (Universitetsforlaget 2014), edited by Elise Seip Tønnessen, is based on the results of the NBI’s research project Children’s and young adult literature in a mediatised text universe (2011-2014). The project put the spotlight on what happens to texts and readers when text meetings move between media such as books, the big screen, TVs, mobiles, and other forms of media we surround ourselves with on a day-to-day basis. Nordisk barnelitteratur – et nytt kunstforskningsspørsmål? [Nordic children’s literature – a new arts research question?] A collection of articles from a Nordic research conference held in Oslo in 2012, and Aktuell nordisk barnebokforskning [Current Nordic children’s book research], a collection of articles published in Open Access format in the Nordic Journal of Childlit Aestethics. Årboka Litteratur for barn og unge [The Yearbook of Literature for Children and Young People], which was published from 1998 until 2010, and was edited and developed by the NBI with Det Norske Samlaget as publisher. Apart from articles, the yearbook contained research and criticism, interviews with authors and author essays, and statistics, bibliographies and an overview of literary prizes. Norsk barnebokinstitutt. Bidrag til barnelitterær faghistorie [The Norwegian Institute of Children’s Books. Contributions to children’s literary history] by Karin Beate Vold, Volume no. 7 2011, NBI’s published volumes. Norsk barnelitteraturhistorie [History of Norwegian children’s literature] by Tone Birkeland, Gunvor Risa and Karin Beate Vold, Samlaget 1997/2005. Inn i teksten, ut i livet [Into the text in life] by Marianne Lillesvangstu, Elise Seip Tønnessen and Hanne Dahll-Larssøn (eds. ), Fagbokforlaget 2007. Drivkrafta bak teksten, bidrag til ein norsk barnebokpoetikk [The driving force behind the text, contributions to a Norwegian policy on children’s books] by the editors of the yearbook: Karin Beate Vold and Per Olav Kaldestad, Samlaget 2008. Every second year, the institute awards the NBI stipend to an ongoing children’s literature research project, funded by Kari Skjønsberg’s Memorial Fund. In 2014, the NBI launched an online-based part-time course in contemporary literature. The aim of the course is to strengthen knowledge about new children’s and young adult literature and is intended for library employees, teachers, critics, and others who convey literature to children and young people. The course can also be complementary and supplementary to more comprehensive courses of study offered by other learning institutions. Teaching runs over three semesters to allow those with full-time jobs to take part. The author training course at the NBI is the only author training course in the country specifically targeted at those who want to write fiction for children and young people. It is a two year course based on workshop seminars, and up to 12 students are accepted based on submitted text portfolios. Among these, two funded places are allocated to applicants with Asian, Middle Eastern, African or Latin American backgrounds. The course is NOKUT approved, and therefore provides study credits and means enrolled students are entitled to funding from the Norwegian State Educational Loan Fund. The NBI has extensive experience in the dissemination of literature and delivery of courses for teachers, preschool teachers, students, librarians, illustrators, and others in the field. The NBI offers courses and group visits/study visits including presentations on recent Norwegian children’s and young adult literature. This is also available in English. Visits must be arranged in advance. The NBI runs between 12 and 14 events for the public every year. The events range from research seminars and exhibitions openings to award ceremonies, book launches and themed lectures. The Ministry of Culture awards prizes annually to the best children’s and young adult books. The Ministry of Culture’s prizes are Norway’s biggest in the field of children’s literature. Since 2003, the NBI has administered the jury and award of prizes on behalf of the ministry. The categories prizes are awarded in can vary from year to year, but as a rule prizes are awarded in the following categories: Literature prize, Picture book prize, Specialist book prize, Debut prize, Illustration prize, Translation prize, and Comic prize.